Social Media is new and has honestly throw a monkey wrench into how we all operate and live. Organizations I believe were caught unaware more than most because of the quick adoption rate of social media by all. Now with Social Media quickly advancing into how we think and live it is now pushing its way into how organizations operate. Some organizations have barely adapted to the NEED for computers in the workplace, now there has to be an adoption of social media into the mix. Needless to say, this changes the workplace game substantially. The growth of mobile devices are making it that much harder to adapt to the usage of social media by the organizational masses. Technology has literally outpaced the ability for the law, people and organizations to adapt policies and procedures at a quick enough pace. There has been lots of discussion about demands for passwords of social media channels which is a violation of most social media channels terms of service. In most cases it is against terms of service to disclose personal passwords at any time for any reason. Additionally one must ask, is this really an adoption of an effective social media policy? Read a good Internet Law book. Keep in mind that by the time an Internet Law Book is published the laws are already old and may be obsolete. However this will give you a great background on what your rights are. Create a Social Media Committee, this will allow you to compare notes with people and brainstorm. Open the lines of communication, this allows the ability to find out how people are using social media. 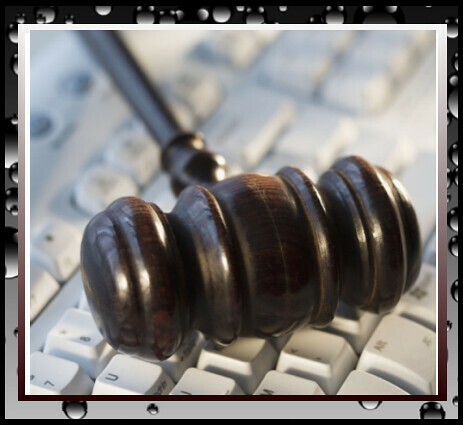 Consult with an Internet Law Professor or attorney because they are usually very familiar with the latest laws. Write a reasonable social media policy and enforce it accordingly. We should all keep in mind that technology has grown at such a quick rate of speed that Laws have not been able to keep up with its growth. I don’t anticipate the rate of technology growth slowing down anytime soon so I can’t visualize laws catching up any time soon. So I would suggest when thinking about social media and your demands that you be realistic and exercise some common sense.